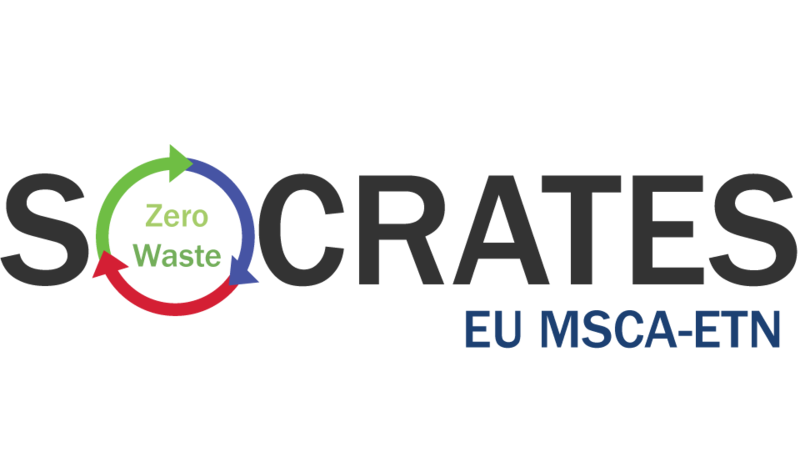 Early May 2016 the European Commission formally granted the EU Horizon 2020 MSCA-ETN SOCRATES project with a score of 95,4%. SOCRATES is the EU Training Network for the Sustainable, zero-waste valorisation of critical-metal-containing industrial process residues. The SOCRATES consortium is now looking for a total of 15 bright PhD students ("Early Stage Researchers"). Applicants can submit their candidacy through the SOCRATES on-line application tool (deadline: 30 July 2016). The recruitment procedure is described in detail in the application files and involves a high profile Recruitment Event in Leuven, Belgium (Novotel, 12 September 2016). Recruited PhD students are set to start their research around October-November 2016. 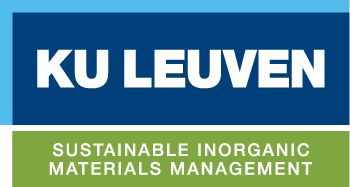 The European Training Network for the Sustainable, zero-waste valorisation of critical-metal-containing industrial process residues (SOCRATES) targets ground-breaking metallurgical processes, incl. plasma-, bio-, solvo-, electro- and ionometallurgy, that can be integrated into environmentally friendly, (near-)zero-waste valorisation flow sheets. The SOCRATES consortium brings together all the relevant stakeholders along the value chain, from metal extraction, to metal recovery, and to residual matrix valorisation in added-value applications, such as supplementary cementitious materials, inorganic polymers and catalysts. 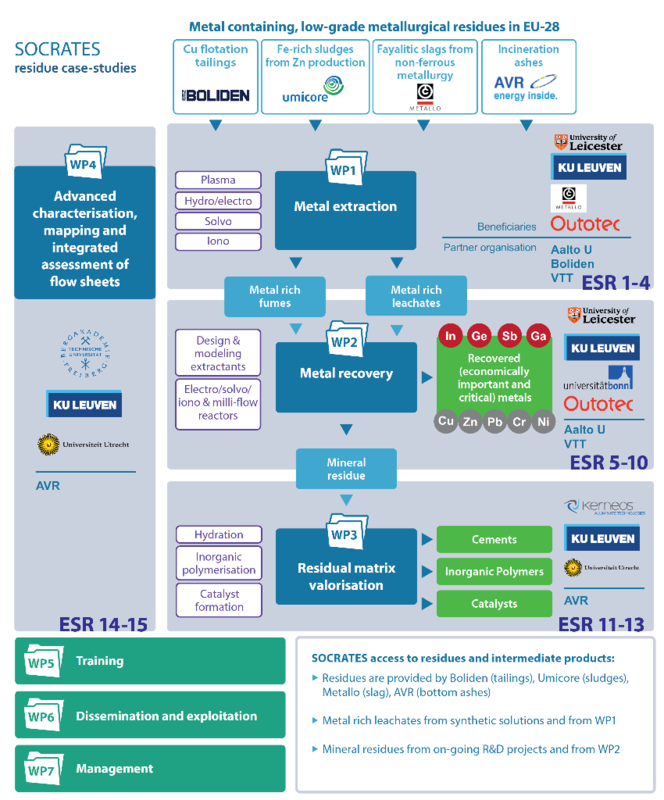 As a basis for a concerted effort to strengthen the EU’s critical-metal supply chain for Ge, In, Ga and Sb, SOCRATES trains 15 early-stage researchers (ESRs) in technological innovation: metal extraction (WP1), metal recovery (WP2), residual matrix valorisation (WP3) and integrated assessment (WP4). By training the ESRs in scientific, technical and soft skills, they are the next generation of highly employable scientists and engineers in the raw-materials sector. Copyright © 2016 EU H2020 ETN SOCRATES, All rights reserved.